Ha, ha, ya missed me! Not to worry. 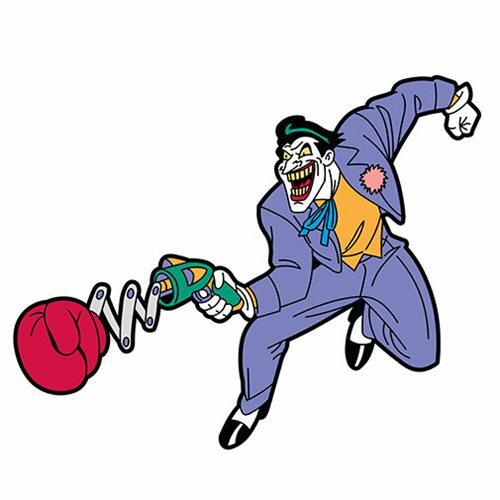 The Joker will keep shooting as long as you leave this eye-catching Batman: The Animated Series Joker Mega Magnet inspired by the TV series stuck to your refrigerator or file cabinet. But then again, that's the idea, isn't it?